Ricardo Oliveira has completed his loan move to Zaragoza, following his disappointing year long spell at Milan. Oliveira joined the Via Turati outfit, on the last day of the transfer market last August, seeing him cost a radical €12 million plus Joann Vogel, but the Brazilian unfortunately failed to impress. 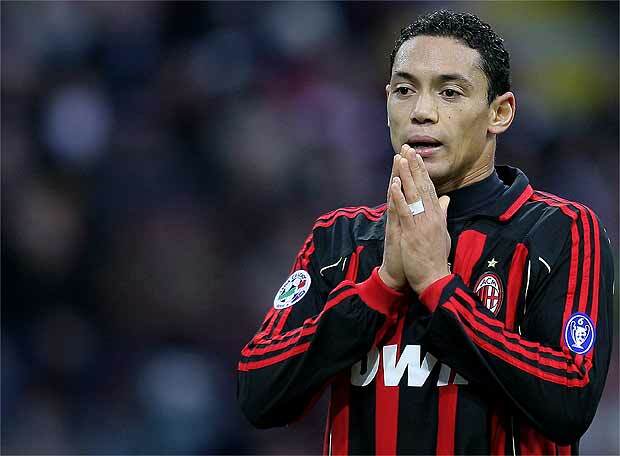 He was brought in as a last resort to replace the unforgettable or unforgivable Andrij Shevchenko. He started off brightly in the rossoneri shirt, after scoring on his debut, hitting home the winning goal against Lazio. But bad news struck Milan and Oliveira, Ricardo's sister had just been kidnapped, the second time this has happened to a Milan player (Kakha Kaladze the other player, to suffer such a trauma). Oli's self esteem went to an all time low and he, like the rest of Milan's forwards, struggled to find the back of the net. His shots were far from going in, and the closest he got was when he met the haunted cross-bar. Some might find it surreal to hit the cross-bar 14 times in 12 consecutive games, but Oli and Milan can share their story, as it happened to them, and at times it looked as if that was the closest Milan and Oli where going to get to scoring. Times started to look bright again when he scored against Siena- with an all Brazilian front-line - and he netted a goal in the Coppa Italia semi-final against Roma. But the best news of all, came after months of worrying, he got word that his sister had been released, and Oli's smile soon returned. But unfortunately for Oli's story of his life, what comes up must come down, and he failed once again to find the back of the net. He netted 3 times in Serie A and twice in the Coppa Italia. One only hopes that his spell at Zaragoza will be a successful one. IN BOCCA AL LUPO OLI! I guess Galliani has to come good on his promise of a striker now. yup i wonder who it will be?